The Horse puzzle mat is 1x1m and 16 mm thick. By placing a puzzle mat the stable will become a pleasant place for your horse to lie down. 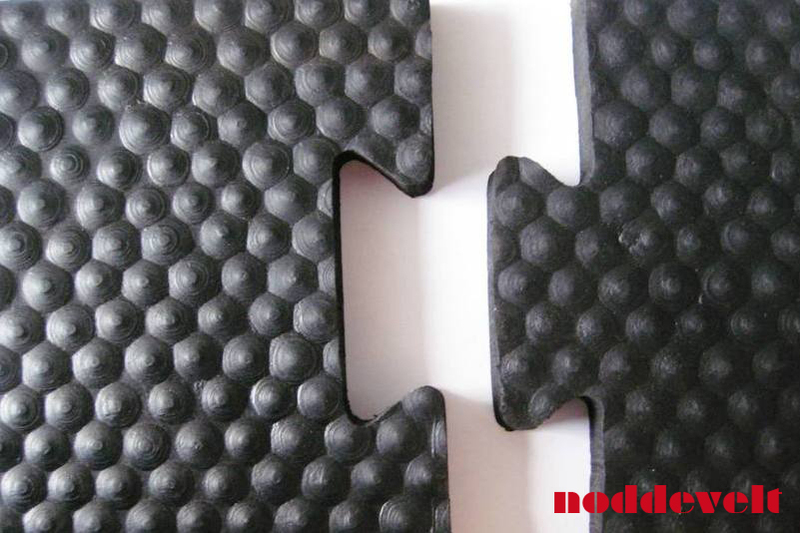 The rubber puzzle mat ensures extra grip as well as extra warmth for the horses. 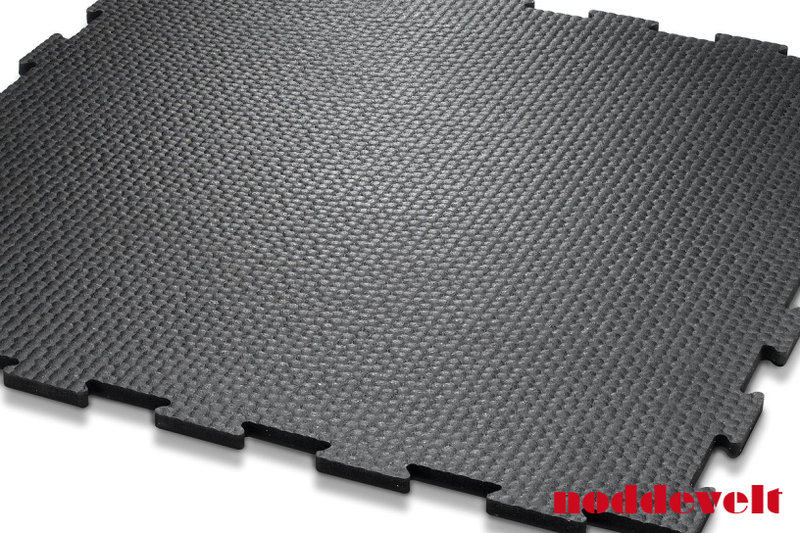 This stable matting has a good non slip property because of its hammer blow top layer, both in dry and wet state. The bottom of the mat makes it more insulated and soft to stand or lie down on. Scrapes and thick hocks can occur by the hard surface and friction when standing up. The rubber puzzle mat in your stable is the perfect solution. These stable mats are very easy to install because of the convenient puzzle system. 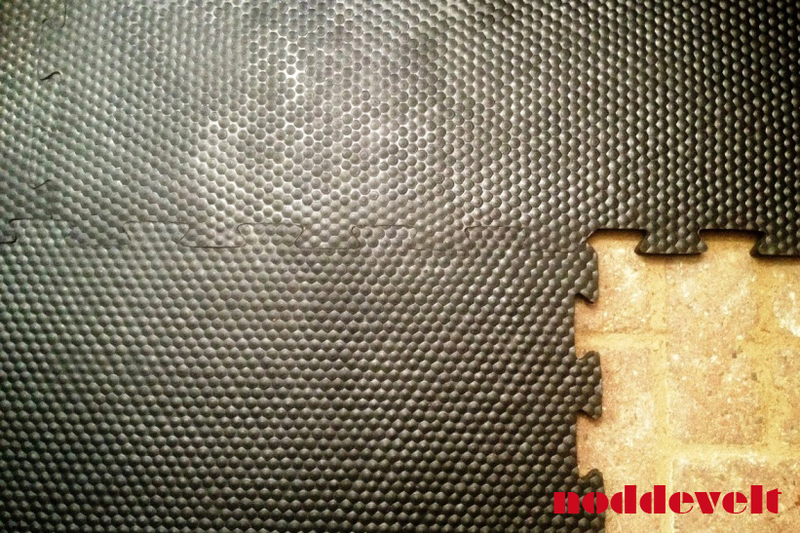 The edges of the mat are like a jigsaw puzzle (interlock), so multiple parts together form a whole. The mat is liquid tight, bacteria or fungi will not be able to come through. 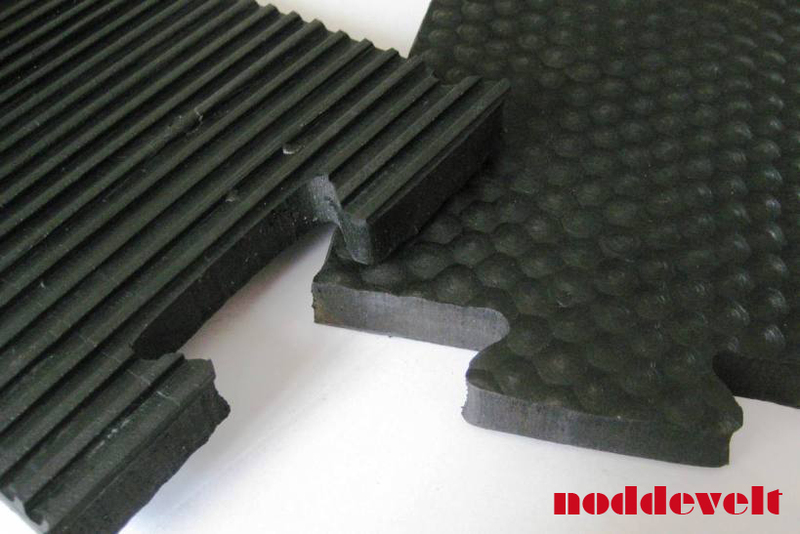 Because of its non-porous property, the mat will not retain moisture and good hygiene is guaranteed.